We are delighted to once again publish a report from James Barlow on the activities of the Civil Engineering Department and what lies ahead in this respect for the rest of the year. But first we start with an apology to James. Readers will have noticed that we have had a visit from a big green engine which has taken up a considerable amount of time, the result of which James’ article got shunted into the Civil Siding. It gives us great pleasure to now reproduce another of his superb articles. It has been a steady 6 months for Civils since I last wrote about our activities, with two major jobs taking precedence for the weekend working gang. Following the changes to rail levels through Oakworth Level Crossing during Civil Week 2016 the track either side has seen further work to tie in the levels. Once the track approached its final levels, ballast was dropped to await the visit of a Volker Rail tamper. Also local contracting firm R.N. Wooler and Company Ltd have again been busy in adjusting the coping stones on the platform end. This will cause a temporary increase in the stepping distance on the Haworth end of the platform until the track through the station is re-laid at a new level during this year’s Civil Week. Once Oakworth was ready we moved to the line between Ingrow Tunnel and Damems Station. This section of track was tamped last year, but for various reasons the tamping was not successful, with one of the key reasons being the general condition of the sleepers. Most of December and January was focussed on finishing the spot re-sleepering of this section which was started earlier in 2016. After what felt like an age this was completed mid-January in time for the tamper in the last week of the month. We have regular visits from Volker rail with their tamper and good relationship has formed. This year’s tamping was done as part of their training regime for tamper operators. The section of track above Oakworth Level Crossing was successfully tamped and that part of the speed restriction removed. 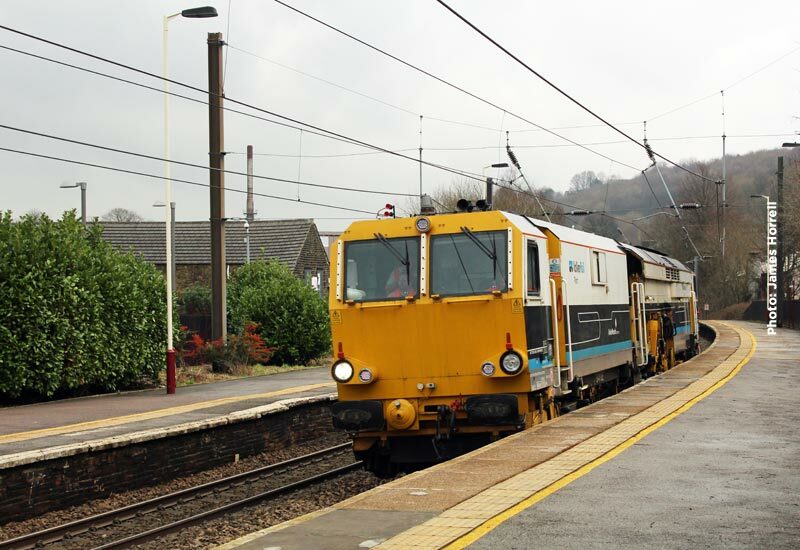 This was followed by tamping between Ingrow Tunnel and Damems which has been more successful this year. The Railway’s thanks must go to Volker Rail for the work they do for us. We will be hiring a ballast regulator later in the year to further reduce our workload, letting the machines take the strain. Lastly we have no now finished re-sleepering the Keighley North Headshunt (beyond Keighley Station towards the main line connection), a job that has lingered on for a while, but while we were all in sleeper changing mode it felt good to get it done before the Flying Scotsman’s visit. It promises to be another very busy year for the Civil and S&T Department. Before the summer, alongside our usual maintenance activities, we will undertake weedkilling and then S&T Week will be upon us during May. Since I last wrote there have been some changes to the plan for Keighley Signalling with the project taking a break from physical works on the ground. Background design and approval work will continue with physical works continuing when everything is in place. The week will now focus on the moving of the Haworth token machine and the refurbishment of Damems Junction. The token machine was moved for operational reasons from its original place in the shed, to adjacent to the points used for engines to access the main line. While operationally convenient this has thrown up other problems including staff safety. The token machine is to now be moved to just outside the yard by the stop await orders board. For Damems Junction the plan is for a major refurbishment / upgrade to take place in several stages over the next 12-18 months. The focal point of the works is the fitting of new roller shutters to protect the windows. Unfortunately the box requires the shutters due to being in a high vandalism area. The new roller shutters will be electronically operated rather than manual, removing a long standing complaint of many of the signallers. The toilet fitted last year at Damems Junction, although operational, will have the finishing touches applied to it. The box will be fully repainted inside and out, given a deep clean and some new flooring fitted. Lastly some improvements will be made to the walkway to reduce the risk of a signaller falling / slipping which will tie into some timber repairs to the signal box. All those are currently a wish list, I am remarkably confident we will get it all done over coming years. I will save further details for an update after S&T Week where the initial phase will include some internal painting and cleaning and the fitting of the external electric shutters. Civil Week promises to be a big one this year. A possession of the line will be taken for 12 days in September to undertake bridge, track and S&C (Switch & Crossing) renewals. Bridge 17 (the metallic bridge to the south of Oakworth on Mytholmes Curve) will be waterproofed after two years of works to paint and repoint the structure. The track will be removed so that a specialist contractor can come in and waterproof the structure. Once this is complete it will complete a series of bridge refurbishments along Mytholmes curve leaving the area in good condition for the foreseeable future. While the contractors are at work the track and ballast through Oakworth station will be renewed along with the points to into the yard. This will complete several years of work at Oakworth associated with improving the level crossing and drainage in the area. The final drainage arrangement has yet to be decided but is being worked on with outside parties. Once complete the Orange Army will return at the end of the following week to re-instate the track over Bridge 17. During the second week work will also be undertaken to Oakworth bottom cutting (the cutting to the immediate south of Damems Junction). Any of you who are lineside photographers will have noticed some sections of the cutting are quite wet! Work will involve the refurbishment of the crest ditch, designed to intercept water and divert it away. Previous planned work on Mytholmes Tunnel landslip has been deferred while solutions are developed in house. While we are near Damems Junction the opportunity will be taken to complete the second phase of the box refurbishment with timber repairs likely to take place. Looking even further beyond there is potentially some more major bridge works coming in 2018, the planning for these will be going in to full gear shortly and will take up a lot of resource. I will hopefully bring you an update in the summer as to our plans for that. There is a constant and substantial amount of work required to our infrastructure to keep the trains running safely, and extra hands are always needed to complete the tasks. 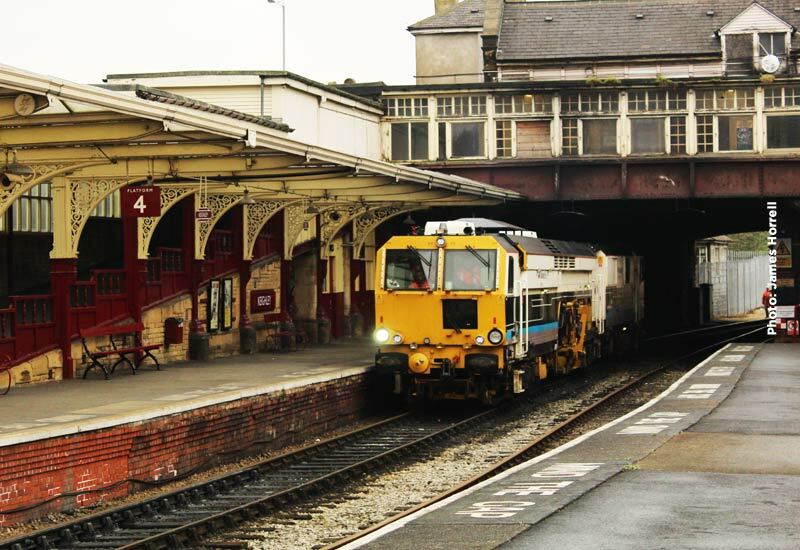 If you can spare time to help the Civil Engineering Department, please contact Operations Officer, Richard Jones on 01535 645214 or richard.jones@kwvr.co.uk.